Lee Miles is the Professor of Crisis and Disaster Management at Bournemouth University Disaster Management Centre (BUDMC), which has an international reputation for excellence in the provision of disaster management education, training and technical assistance. He is also a Professor of Political Science at Karlstad University in Sweden. Lee is a distinguished scholar, being awarded his first Professorial title in 2006, and now having held Professorships at four universities in the UK and Sweden: (Liverpool (2006-2009), Karlstad (2009 - ), Loughborough (2011-2015) and now Bournemouth (2015 - ), and twice being awarded the prestigious title of Jean Monnet Professor in 2003 (Hull) and 2004 (Liverpool) by the European Commission for his work on EU crisis management. Lee has authored and/ or edited some 15 books, written over 90 publications, and successfully completed over 20 externally funded research project in the last 20 years, attracting competitive funding from international institutions, such as, the United Nations, European Union, the Nordic Council of Ministers and NATO, as well as national governments, research councils, regional authorities and private business in Denmark, Iceland, Sweden and the UK. 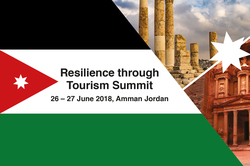 He has also worked extensively with private enterprise, and recently participated in the ‘Hotel Resilient’ (2016) pilot study investigating minimum international standards for hotels and resorts under the auspices of UNISDR, GIDRM and PATA. Lee’s is presently researching the relationship between innovation and resilience in successful crisis and disaster management, and particularly the impact of policy entrepreneurs and entrepreneurship in determining effective international crisis and disaster management, with a specific emphasis on developing concepts of ‘entrepreneurial resilience’. He is also involved in several projects examining the role of communication strategies, gaming, exercising and simulations in crisis and disaster management and their place in aiding understanding of how to be more resilient when handling disasters in theory and in practice.